Background: Tobacco use has profound health consequences globally. Dentists with positive attitudes towards tobacco cessation counselling show minimal involvement in practice. Aims: To assess the attitude and practice of dentists in the Northern United Arab Emirates towards tobacco cessation advice. Methods: An interviewer-administered, questionnaire-based study was conducted among 250 dentists practicing in the Northern Emirates in 2015. Statistical analysis was performed with the χ2 test and multivariate analysis. Results: Around 88% of dentists exhibited good attitudes but only 37% had good practice of providing tobacco cessation advice to their patients. Nationality, level of education, total duration of practice and personal use of tobacco were significantly associated with attitude towards tobacco cessation. Nonusers of tobacco showed an odds ratio of 3.12 (95% confidence interval: 1.18–8.20) towards good attitude. Conclusions: Most of the surveyed dentists had a good attitude towards provision of tobacco cessation advice, but comparatively suboptimal practice was observed. We recommend providing training to the dentists on the methods and techniques of tobacco cessation. Globally, tobacco use has profound health consequences not only for the smokers but also for those who are exposed to second- and thirdhand smoking (1). There are different forms of tobacco available and consumed worldwide but cigarettes are predominant and account for 96% of global sales (1,2). In the Middle East, cigarette smoking has emerged as a serious public health problem (3). Tobacco smoke and smokeless tobacco cause a variety of oral mucosal changes due to the irritants and toxins present in tobacco. In an effort to reduce mortality and morbidity associated with tobacco use, African and Middle Eastern countries have developed guidelines on the utilization of appropriate tobacco control policies initiated by the World Health Organization (WHO) Framework Convention on Tobacco Control (FCTC) (4,5). This policy also includes strategies such as the 5As (Ask, Advise, Assess, Assist and Arrange) and the ABC algorithm Ask about the smoking status, provide Brief advice to stop smoking to all smokers, and assist in Cessation those who are willing to quit (4–6). Generally, dentists have a favourable and encouraging attitude towards smoking cessation counselling. Most dentists believe it to be their responsibility to help their patients with tobacco cessation or to prevent tobacco use. A study in India showed that 98.7% of dentists felt that they were responsible for providing tobacco cessation advice, and 94.7% reported that they were confident in providing tobacco cessation advice to their patients (7–12). A study among dentists in Kelantan, Malaysia showed that 72.7% were confident in giving such counselling. However, only 4.8% of the dentists viewed that their advice would be effective and only 2.4% were positive about their patients’ ability to stop tobacco use (13). Attitude of dentists in providing tobacco use cessation advice also depends on many background factors such as past experiences with counselling, and interest and rewards in practice and training (13,14). In a study among Hong Kong dentists, 89% strongly agreed that dentists play an important role in delivering tobacco cessation advice (15). Likewise, 80.6% of dentists in Saudi Arabia agreed about the importance of providing tobacco cessation counselling and only 9% of them disagreed (16). Despite this encouraging and favourable attitude, involvement of dentists in tobacco cessation advice has been minimal. In India, 45% of dentists did not provide tobacco cessation pamphlets, although 81.5% did have posters about this in the waiting room (7). In Malaysia, although 82.1% dentists offered tobacco cessation advice to their patients, only 17.9% were really involved in cessation advice; 20.2% provided an explanation on the health implications of tobacco use; and 21.4% offered motivation to their patients in relation to tobacco cessation (13). A study in Hong Kong showed that dentists practicing in government sectors and those who have undergone training in tobacco cessation were more likely to enquire about their patients’ smoking status. Thus, appropriately trained dentists were 14 times more familiar with contacting local smoking cessation agencies and 8 times more likely to provide advice for smoking cessation to their patients (15). This study reflected the need for both didactic and clinical training in counselling skills in the undergraduate curriculum. Moreover, dentists should also undergo ongoing tobacco cessation training that will help them to acquire better knowledge and updated techniques (15). Dentists are healthcare providers and play a vital role in educating the community about the effects of tobacco use on oral health and general health (17–19). Engagement of dentists in smoking cessation programmes will allow them to become involved in this significant area of prevention. The present study was conducted to assess the attitude and practice of dentists in the Northern United Arab Emirates towards providing tobacco cessation advice to their patients. We also assessed the association between attitude and practice in providing tobacco cessation advice and sociodemographic characteristics, years of practice, areas of specialization and tobacco use of dentists. In 2015, we used a cross-sectional study to assess the attitude and practice of dentists in the Northern Emirates towards giving tobacco cessation advice to their patients. The study population included dentists practicing in hospitals, dental clinics, polyclinics, dental clinics in medical centres, and dental centres in primary healthcare centres in the Northern Emirates. We included general dental practitioners and specialists in dentistry. Dentists who were not willing to participate and those who were exclusively academics were excluded. A minimum sample size of 245 was calculated based on the formula for cross-sectional studies. The sampling frame was obtained from the lists of Marketing Division, Gulf Medical College Hospital and Research Centre, and Health Communication Division, Gulf Medical University, Ajman. An interviewer-administered questionnaire was content and face validated by 3 experts from the field of tobacco research and 2 from the field of dentistry. Twenty-two questions were included each on attitude and practice towards giving smoking cessation advice. The questions were revised based on suggestions received from the experts. Pilot testing of the questions was carried out among 5 dentists to assess the comprehensiveness, feasibility and time needed to complete the questionnaire. Ethical approval was obtained from Ethics and Research Committee of Gulf Medical University, Ajman and the Ethics Committee of the Ministry of Health, United Arab Emirates. Participants were approached personally and the purpose of the study was explained to them. Written consent was obtained prior to administration of the questionnaire and participants were recruited conveniently till the required sample size was achieved. A total of 250 dentists participated in the study with a response rate of 89.3%. The data were fed into an Excel spreadsheet and analysed using SPSS version 22 software. Results are presented as frequencies and percentages. Attitude of the dentists towards tobacco cessation advice was assessed by grading on a 0–4 Likert scale that was rated as strongly disagree, disagree, neutral, agree and strongly agree. Each statement was assessed as good attitude if the score was > 2 and poor attitude if the score was ≤ 2. Tobacco cessation advice in practice was assessed by grading on a 0–2 Likert scale that was rated as never, occasionally and always. Each statement was assessed as good practice if the score was > 1 and poor practice if the score was ≤ 1. The χ 2 test was used to assess the association between dependent and independent variables. The variables with a level of significance of P ≤ 0.1 were included in the 2nd level of simple binary logistic regression. The variables showing a significant level were included in a multiple binary logistic regression model to estimate the net effect of each variable on tobacco cessation practice. The variables that gave adjusted odds ratio with a level of significance of P ≤ 0.05 were concluded to be factors that influenced tobacco cessation advice. Table 1 illustrates the association between participants’ sociodemographic characteristics and their attitude towards tobacco cessation intervention. We found that female participants, those < 40 years of age and those with postgraduate and higher education had higher scores for good attitude compared to male participants, those aged ≥ 40 years of age and those with graduate education. None of these differences was significant. In contrast, participants from other regions had a significantly higher score for good attitude compared to those from the World Health Organization Eastern Mediterranean Region. Table 2 shows the association between details of clinical practice and the participants’ total attitude score towards tobacco cessation advice. Specialists, participants practicing in government settings, those who consulted 10 years of clinical practice. Table 3 shows the predictors of good attitude towards tobacco cessation advice. The χ2 test showed that nationality, level of education, total duration of practice and personal use of tobacco were significantly associated with attitude towards tobacco cessation at P ≤ 0.1. After adjustment of the confounding factors, these factors were subjected to multiple logistic regression. Participants from other regions were 2.38 times more likely to have a good attitude towards tobacco cessation advice as compared to those from the Eastern Mediterranean Region. Participants with postgraduate and higher education were 2.79 times more likely to have a good attitude towards tobacco cessation advice than those with graduate education were. Participants with ≤ 10 years of clinical practice were 3.61 times more likely to have a good attitude towards tobacco cessation advice as compared to those with > 10 years clinical practice. Nonusers of tobacco were 3.12 times more likely to have a good attitude towards tobacco cessation advice as compared to tobacco users. Table 4 shows the association between socio-demographic characteristics and participants’ total practice score for all domains toward tobacco cessation advice. Female dentists, those aged ≥ 40 years, those with graduate education, and those from other regions had higher good practice scores for all the domains as compared to male participants, those aged < 40 years, those with postgraduate and higher education, and those from the Eastern Mediterranean Region. None of these differences was significant. Table 5 shows the association between the dentists’ details of clinical practice and the total practice score towards tobacco cessation advice. Good practice scores for all domains were higher for general practitioners, dentists with > 10 years clinical practice, those seeing ≥ 60 patients per week, those practicing in private settings, and those who attended a training programme compared to specialists, dentists with ≤ 10 years clinical practice, those seeing < 60 patients per week, those practicing in government settings, and those who did not attend any training programme. None of these differences was significant. Among current tobacco users, 23 (74.2%) had poor practice (score ≤ 22) and only 8 (25.8%) had good practice (score > 22) towards all the domains. Among the nonusers of tobacco, 134 (61.2%) had poor practice (score ≤ 22) and 85 (38.8%) had good practice (score > 22) towards all the domains. None of these differences was significant. Among all the variables, good attitude of the dentists was significantly associated with good practice towards tobacco cessation advice (P ≤ 0.05). When this factor was included in the simple binary logistic regression model, dentists with a good attitude were 3.18 times (95% confidence interval: 1.17–8.64) more likely to have good practice towards tobacco cessation advice as compared to those with poor attitude. The current tobacco epidemic is one of the greatest threats to global health. Tobacco use has a detrimental impact on oral as well as general health (16,20). It is imperative that dentists recognize the need to include intervention for tobacco use prevention and cessation along with dental treatment. Our study aimed to determine the attitude and practice regarding tobacco cessation intervention among dentists practicing in the Northern United Arab Emirates. Most dentists had a good attitude towards the domains Ask (81.2%), Advise (89.6%), Assess (66.8%), Assist (79.2%) and Arrange (69.2%). Studies in Malaysia, India, Hong Kong, Saudi Arabia and Islamic Republic of Iran reported that most dentists had an encouraging attitude towards providing tobacco cessation advice to their patients (7, 8, 13, 15, 16, 21). In contrast, a similar study conducted in the United States of America (USA) reported that only 58% of dentists had a positive attitude (22). Attitude depends on many factors such as knowledge and interest in practicing tobacco cessation intervention, which were not explored in this study. However, this varying attitude may be attributable to differences in interest in and knowledge of the perceived duties of dentists among the dental community. Total attitude score of female dentists and dentists aged < 40 years was higher than in other groups but was not significantly associated. This observation was in conformity with that of Binnal et al., who reported that younger dentists had a better attitude towards tobacco cessation interventions than their older counterparts (23). One possible reason is that younger dentists are perceived to have more interest in such intervention compared to older dentists. Dentists who had attended intervention training had a better attitude than those who had not but the difference was not significant. This finding is in accordance with a study in the USA that reported that dentists who received training had a significantly more positive attitude towards tobacco cessation counselling (14). This indicates that training in tobacco cessation programmes has the potential to increase awareness among dentists and make them more involved in the provision of tobacco cessation counselling to their patients. Dentists who have never consumed tobacco had a significantly higher good attitude score than those that had ever been tobacco users. This finding is consistent with studies in Kuwait, Kenya and Finland that reported a negative attitude towards patient counselling about smoking among healthcare professionals who smoke compared to those who are nonsmokers (24–26). This provides insight into the fact that dentists hold strong beliefs that they serve as a role model to their patients (11,12). In the present survey, actual involvement of the dentists in tobacco cessation interventions were reported as follows: Ask (39.6%), Advise (68.4%), Assess (24%), Assist (19.2%) and Arrange (18.8%). This is consistent with previous studies (22,27–30). Assisting, assessing and arranging were the least-often-delivered services by dentists despite an encouraging attitude towards them. This indicates dentists’ perceived lack of skill for their actual involvement in tobacco cessation interventions. Good practice towards all the domains was observed to be higher among female dentists, dentists aged ≥ 40 years and general practitioners as compared to their counterparts but this association was not significant. Also, no significant association of total practice was observed with regard to nationality, duration of practice and number of patients treated per week. Dentists who attended an intervention training programme had better good practice than those who had not but this difference was not significant. This finding is in line with a study done in Hong Kong that stated that government dentists and those who received training were significantly more likely to have good practice towards tobacco cessation than their counterparts (15). Similar findings have been reported in the USA and Ontario, Canada (14,31). A Cochrane review concluded that healthcare professionals who were trained were better in offering tobacco cessation interventions (32). Good practice was observed more among nonusers of tobacco as compared to current tobacco users but the difference was not significant. This is in accordance with other studies (24,33,34). By comparison, a study in Ontario showed that former smokers and never smokers were significantly more likely to have good practice than current smokers have (31). This indicates increased awareness among nonsmokers about the adverse effects of tobacco use on oral as well as general health. Thus, effectiveness of any intervention may increase if the counselling is done by dentists who do not consume tobacco. Dentists with a good attitude towards the domains Ask, Advise, Assess, Assist and Arrange were significantly more likely to have good practice in all the domains towards the provision of tobacco cessation interventions. This was similar to previous studies (22,25,35,36). This indicates that efforts to improve the attitude of dentists towards tobacco cessation interventions would increase the actual involvement of the dentists in provision of such interventions to their patients. This study had some limitations. The cross-sectional design of the study allowed us only to provide a snapshot of the situation. However, the study assessed the attitude and practice of the dentists towards tobacco cessation advice, which were less likely to change over time. Dentists were recruited by convenience sampling, which may have contributed to selection bias. This limits the generalization of the results as the sample may not have been truly representative of the wider population. However, participants were recruited from a large geographical area and most dentists were able to respond to the survey. The majority of the surveyed dentists had a good attitude towards provision of tobacco cessation services. However, despite this encouraging attitude, few dentists provided tobacco cessation intervention to their patients. Factors that were significantly associated with a good attitude towards tobacco cessation advice were nationality, level of education, total duration of practice and tobacco consumption of the dentists. Good attitude of the dentists towards tobacco cessation advice was significantly associated with good practice of the dentists in provision of advice. We recommend training dentists at the individual and community level on the methods and techniques of tobacco cessation strategies. Training programmes should be planned and implemented by healthcare management teams and concerned authorities for all dental professionals at regular intervals. Skill-based approaches may be required to enhance the confidence and competence of the dentists in offering tobacco cessation intervention. Moreover, it would be advisable to arrange cessation intervention for healthcare workers, including dentists, as they are role models, especially to adolescents. Contexte : Le tabagisme a de profondes répercussions sur la santé au niveau mondial. Les dentistes qui ont une attitude favorable au regard du conseil en matière de sevrage tabagique se montrent peu impliqués dans la pratique. Objectif : Évaluer l’attitude et la pratique des dentistes du nord des Émirats arabes unis au regard de la dispensation de conseils en vue du sevrage tabagique. 250 dentistes exerçant dans le nord des Émirats. Des analyses statistiques ont été effectuées à l’aide du test du χ2 et de l’analyse multivariée. Résultats : Environ 88 % des dentistes affichaient une attitude positive mais seuls 37 % faisaient preuve d’une bonne pratique de dispensation de conseils en faveur du sevrage tabagique auprès de leurs patients. La nationalité, le niveau d’éducation, la durée totale de l’exercice et le tabagisme personnel étaient associés de façon significative à l’attitude adoptée face au sevrage tabagique. Chez les non-fumeurs, l’odds ratio pour l’attitude favorable était de 3,12 (IC à 95 % : 1,18-8,20). Conclusion : La plupart des dentistes interrogés affichaient une attitude positive quant à la dispensation de conseils en matière de sevrage tabagique, alors que la pratique observée était comparativement insuffisante. Nous recommandons de proposer une formation aux dentistes au regard des méthodes et techniques du sevrage tabagique. الخلفية: ينطوي استهلاك التبغ على آثار صحية وخيمة على المستوى العالمي. وفي الممارسة العملية، يعد تدخل أطباء الأسنان الذين لديهم مواقف إيجابية إزاء تقديم المشورة بشأن الإقلاع عن تعاطي التبغ تدخلاً ضئيلاً. الهدف: تقييم اتجاهات وممارسات أطباء الأسنان في الإمارات الشمالية من دولة الإمارات العربية المتحدة إزاء تقديم المشورة بشأن الإقلاع عن تعاطي التبغ. طرق البحث: أُجريت دراسة قائمة على استبيان أداره محاورون لما مجموعه 250 طبيباً ممارساً لطب الأسنان في الإمارات الشمالية من دولة الإمارات في عام 2015. وأُجري تحليل إحصائي باستخدام اختبار المقارنة بين متوسطين والتحليل المتعدد المتغيرات. النتائج: أظهر نحو 88% من أطباء الأسنان سلوكيات جيدة في حين تبيّن أن 37% فقط منهم يعتمدون ممارسة جيدة تتعلق بإسداء المشورة لمرضاهم بشأن الإقلاع عن استهلاك التبغ. وتبيّن وجود ارتباط وثيق بين الجنسية ومستوى التعليم والمدة الكلية لممارسة المهنة واستهلاك التبغ على المستوى الشخصي بموقف الطبيب إزاء الإقلاع عن استهلاك التبغ. وجاءت نسبة احتمال المواقف الجيدة في أوساط الأطباء غير المتعاطين للتبغ 3.12 (فاصل ثقة بنسبة 95%: 1.18-8.20). الاستنتاج: أبدى معظم أطباء الأسنان الذين خضعوا للمسح سلوكيات جيدة إزاء إسداء المشورة بشأن الإقلاع عن استهلاك التبغ، وإن لوحظت ممارسات أقل من المنتظر نسبياً. ونوصي بتدريب أطباء الأسنان على طرق وأساليب الإقلاع عن استهلاك التبغ. Eriksen M, Mackay J, Ross H. The tobacco atlas. 4th edition. American Cancer Society, World Lung Foundation; 2012. Centers for Disease Control and Prevention. Health effects of cigarette smoking. https://www.cdc.gov/tobacco/data_statistics/fact_sheets/health_effects/effects_cig_smoking/index.htm, accessed18 December 2017). Global Youth Tobacco Survey United Arab Emirates (UAE) (ages 13-15) fact sheet. 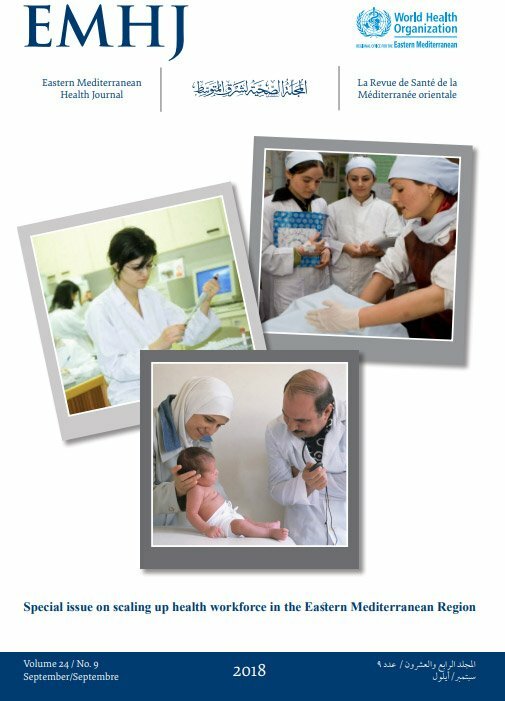 World Health Organization Eastern Mediterranean Region; 2010 (http://www.emro.who.int/images/stories/tfi/documents/GYTS_FS_UAE_R2.pdf?ua=1, accessed 18 December 2017). Toolkit for delivering the 5A’s and 5R’s brief tobacco interventions to TB patients in primary care. Geneva: World Health Organization; 2014. (http://apps.who.int/iris/bitstream/10665/112836/1/9789241506946_eng.pdf?ua=1, accessed 18 December 2017). New Zealand smoking cessation guidelines. Wellington: Ministry of Health; 2007 (http://www.treatobacco.net/en/uploads/documents/Treatment%20Guidelines/New%20Zealand%20treatment%20guidelines%20in%20English%202007.pdf, accessed 18 December 2017). FDI World Dental Federation, World Health Organization. Tobacco or oral health: an advocacy guide for oral health professionals. Lowestoft, UK: FDI World Dental Federation; 2005 (www.who.int/oral_health/media/orh_tobacco_fdi_book.pdf?ua=1, accessed 18 December 2017). Watiri G. Health care providers knowledge, attitude and practice of smoking cessation interventions in public health facilities in Kiambu County, Kenya [thesis]. University of Nairobi; 2014. Babayan A, Dubray J, Haji F, Schwartz R. Provision of smoking cessation by Ontario dental health professionals. Ontario Tobacco Research Unit; 2012:1–59.